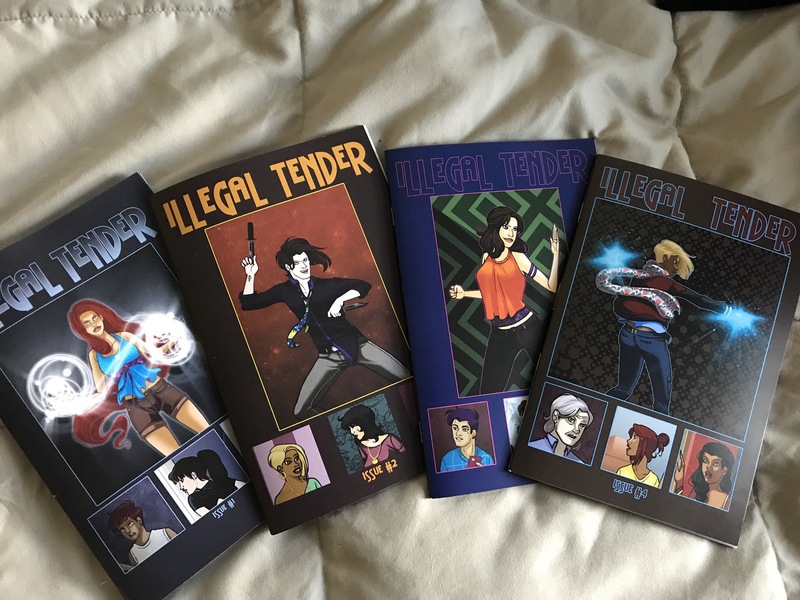 Buy issues 1 & 2 now! 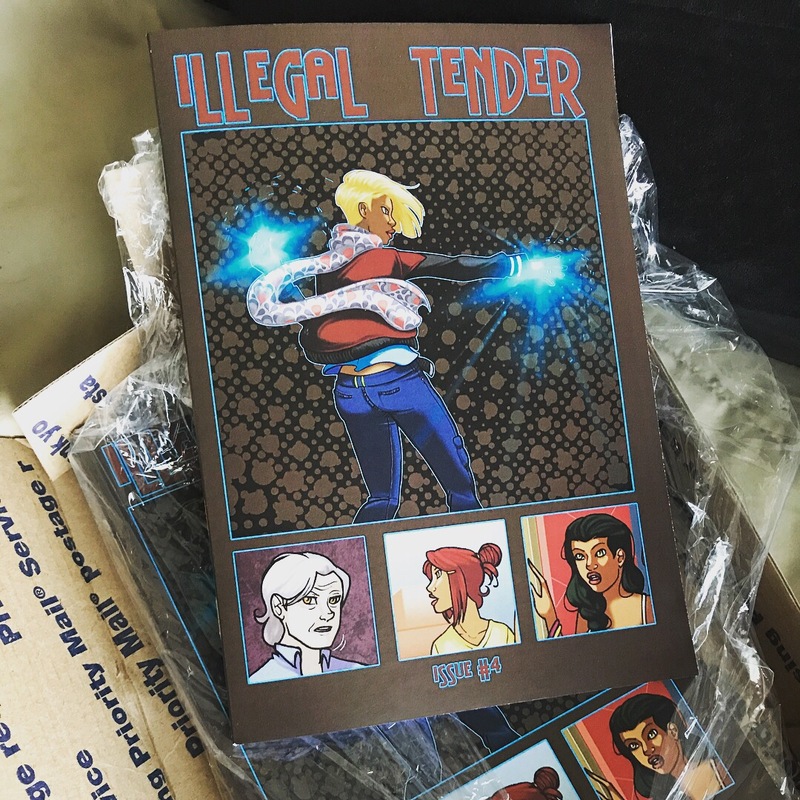 Buy Illegal Tender issue #1 & #2 on Gumroad! I never realized just how terrifying Emil must actually look to other people. He’s got extreme heterochromia and his eyes slant which make them look mean without even trying. But on top of that he’s got those huge canines and I don’t care who you are – when sharp teeth are bared it’s scary. So yes, you don’t want him pissed off at you. Add to that his skills you get one bad mofo! I love Erol’s transition from ‘vengeful’ to ‘scared’ – if anyone remembers this is after Alpha shows up for the first time and Erol wants to kill him but Emil pretty much tells him ‘it ain’t that easy’. Issue #2 remaster coming summer 2016!